This is the Vitamins and Minerals section, where you can find important information on vitamins and/or minerals that make a difference to your overall quality of life. 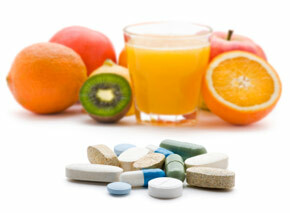 Vitamins are an organic compound that comes from plants and animals. Vitamins are easily destroyed by heat, light and chemical agents. Water-soluble vitamins can not be stored in your body for long periods, as these vitamins dissolve in water. Surplus of these vitamins in the body are excreted via your urine within 4 to 24 hours. Since water-soluble vitamins can not be stored in the body, you need to ingest these vitamins on a daily basis. It's hard to overdose on these vitamins. Fat-soluble vitamins are stored in your body, mainly in your fat tissues and liver. It's for this reason that it is possible to overdose on these vitamins if taken in extremely high doses. Important Note: The first number is the bare minimum dosage of the vitamin required to prevent only some vitamin deficiency diseases. The last number in the range represents the conservative high dosage amount. Please know that many studies have shown that at least for some of the vitamins above, taking doses above these recommended amounts, as set by Food and Nutrition Board of the Institute of Medicine, can result in more optimal health and longer life. I will being addressing these particular vitamins in this section. Here's an example of such a study, which was published by the US National Library of Medicine National Institutes of Health. Minerals are an inorganic compound that comes from soil and water. Unlike vitamins, minerals are not easily destroyed by heat, light or chemical agents. Bulk minerals are minerals that are needed in larger amounts (over 100 mg) on a daily basis. Trace minerals are minerals that needed very small quantities, sometimes 50 mcg or less. It's important to note that even though these minerals are needed in very small quantities, they are still very important to your health. Important Note: The first number is the bare minimum dosage of the mineral required to prevent only some mineral deficiency diseases. The last number in the range represents the conservative high dosage amount. As with vitamins, it's important to know that many studies have shown that at least for some of the minerals above, taking doses above these recommended amounts, as set by Food and Nutrition Board of the Institute of Medicine, can result in more optimal health and longer life. I will being addressing these particular minerals in this section. Benefits of Vitamins and Minerals? Vitamins and minerals are EXTREMELY important to your health. You need ALL vitamins and minerals to maintain good health and prevent long-term bodily breakdown. Vitamins and minerals are crucial in preventing and treating diseases and cancers. Become deficient in a specific vitamin and/or mineral for an extended period of time and you're asking for trouble. The list of vitamin/mineral deficiency diseases is very long, too long to post here. I'm not trying to scare you, but rather educate you on reality. The reality is that vitamin and mineral deficiency for most people is easy to avoid or correct. Absolutely! Taking multivitamin supplements is critical. It's extremely difficult to get all the vitamins and minerals your need just from your diet alone. Good multivitamin supplements ensure that your body achieves the correct chemical balance, as each vitamin and mineral has a chemical effect on the body. The level of one vitamin or mineral affects the level of another. If there is a serious imbalance, illness can occur. So make sure you take multivitamins! Is vitamin D a miracle pill? 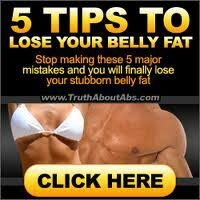 Check out the latest scientific research and make the decision yourself. Foods and beverages that have the highest concentration of vitamin D.
Learn who's at risk for being vitamin D deficient and how to determine your vitamin D blood levels.